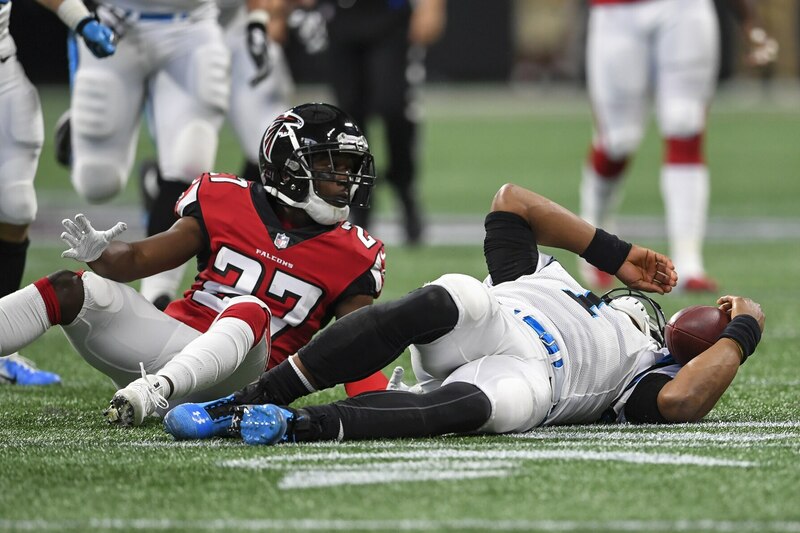 The Atlanta Falcons’ defense is even thinner than normal thanks to a cheap shot from Damontae Kazee on Carolina Panthers quarterback Cam Newton. Newton was into his slide on a run when Kazee not only hit him, but hit him in the head. The hit started a minor skirmish. Carolina’s Torrey Smith was flagged for retaliation. But hat offset with Kazee, was flagged and also ejected for the hit. Following a brutal hit on Panthers QB Cam Newton, Falcons S Damontae Kazee was ejected from the game. Newton appeared to escape injury on the play. He was checked out on the sideline while the penalties and ejections were being sorted out and didn’t miss a play.